Coming in at different times, the nominees were armed with approaches so distinct The Cinnamon Roll can't help but label them with slogans like Jeremy "IT Man" Jee and Abhi "Man with a Plan" Sujit. 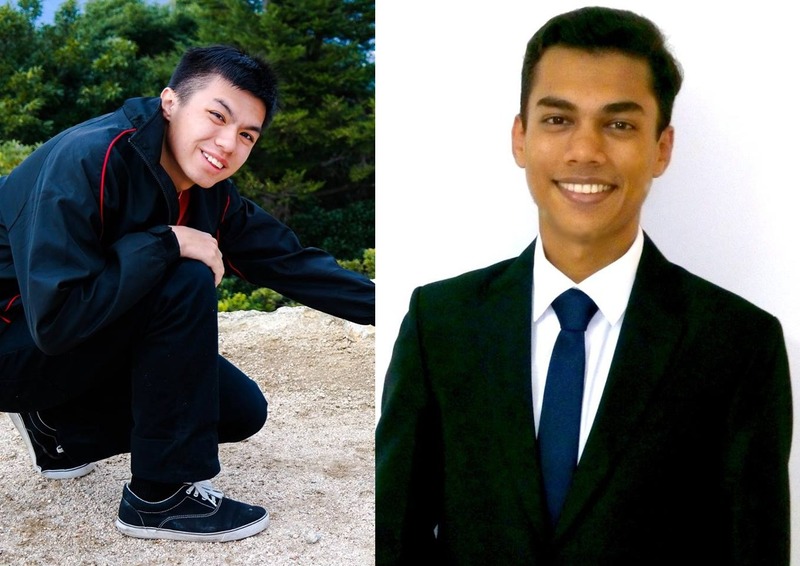 For our penultimate post on MC elections, The Cinnamon Roll met up with the candidates running for the Honorary General Secretary (Hon Gen Sec) role, namely Jeremy Jee and Abhi Sujit who are studying Information Security and Engineering respectively. Coming in at different times, the nominees were armed with approaches so distinct The Cinnamon Roll can’t help but label them with slogans like Jeremy “IT Man” Jee and Abhi “Man with a Plan” Sujit. Moving on, first nominee is Jeremy Jee, a freshman who tells us about his plans for his role, initiatives for the MC, and apps. Out of all the candidates what makes you the most suitable for this role? I believe what our seniors started last year was to make Hon. Gen. Sec more IT related. He revamped the NUS USC website, and I hope to continue capitalising on IT for USC this year. I personally have a background in IT and coding, so one of my plans is to develop an application where the community can make suggestions to the USC and disseminate information. I believe this skill set is something that the other candidates do not possess, so I think it gives me a slight edge over them. 2. Apart from IT roles what other things do you think this role is about? Hon Gen Sec does a lot of other things as well. During meetings we handle the agenda and the minutes. Then we book facilities – say one of the IG’s or GUI want to book a room, they have to contact the Hon Gen Sec. I have always been someone who is quite organised and meticulous, so I have no problem dealing with administrative matters. So, the basic role of a Hon Gen Sec is quite administrative, and I’d like to add an IT component to it. 3. I see that you would really like to contribute through IT initiatives to the MC. Is there anything specific- maybe even non IT contributions- that you would like to make immediately if you are elected? One of the things I want to work on is a suggestion board. It is not just any suggestion board though; I have seen systems where users can suggest something, and other users can upvote or downvote it. The MC can then see which suggestions are most popular, and make sure that no rubbish suggestion goes through with all the downvotes, not to say that the suggestions are bad, but those which are not very serious. 4. That sounds like a lot of work. How do you plan to manage your time if you are elected in MC and balance it with other commitments? During my Polytechnic years, I actually trained for a competition while managing both school work and job in the student committee. I try to put my main commitments like studies on the weekdays, and additional stuff on weekends so I have a clear balance between the two. 5. So you have held similar positions before? In Poly I was the Head of the Student Committee for my diploma, so from there I gained a lot of experience of working with people and other students and getting their feedback as well. 6. Looks like you a busy life in poly as well! So what do you like to do in the free time that you get! I like playing video games and I like watching a lot of anime. I also like cycling and swimming generally. Next up was Abhi, an Year 1 Engineering student, and a man with a plan. 1. Why do you think you are most suited for this role? I am not sure about other candidates, and would not comment on their skillsets, but the thing that distinguished me is that, people say, I am a man with a plan. I would like to introduce more concrete planning, and this distinguishes me for those who have the skillset but do not have a specific plan in mind. The first thing I would do is building an effective feedback system. Currently, there is just USComments but I was told that it is rarely used. I contacted the current President, Goh Seng Chiy, who told me the last post received dates back to January. I asked myself why this is, and I figured out that this was a problem of convenience. The system would enable people to post comments from smartphone, and I would make it my personal goal to bring it up once the comments are posted. Afterwards, I will print out the two links attached to it, namely the voting links where your USP peers could upvote or downvote it, and another link showing where MC is going with your feedback along with the research surveys. 2. For a man with a plan, do you have any plans apart from the feedback system? I would like to work on revamping our spaces, such that they promote a collaborative atmosphere. For example, my friends wanted to discuss something but the setting of Chatterbox prevented us from talking comfortably. I want to revamp it such that we have a friendly discussion corner with whiteboards and extension cord. 3. What do you think the specific role of Hon Gen Sec in USC entails? I hint there are three major responsibilities. Firstly, it is to take minutes during the meeting. I think that requires someone with a very diligent work-ethic which is something I believe myself to be. Second role is regarding the spaces which is a big portfolio. The previous Secretary has done a really, really good job of setting up a very efficient booking system. What I would like to do is to concentrate on the use of these spaces. Lastly, it is I think the feedback because the Gen Sec is the first point of correspondence between Admin, USC and student. 4. Do you think you can balance all your commitments with the position of Hon Sec Gen? Yes, I do think so. I have previously taken up a rigorous roles in JC- with 5 H2s and an H3. Apart from this academic side I was sec of my sport CCA with regular trainings and I was the vice pres of two CCAs. 5. Do you think your previous leadership experience help you in you the role you are standing for? Yes because these past experiences have shown me where my strengths and weaknesses lie. One of my major strengths is that I am a team player, and I think that really helps in a community as large as USP. At the same time it is different as we don’t have a teacher who is guiding us anymore. In USP I think it completely stands for the democracy among students, and I take that as a challenge to further my skills. 6. So what do you like to do in the free time that you get! Well , I really like to socialize and meet other people. So I think being a member of committees already help with that. But other than that, I am a movie buff and love to read non-fiction books! Stay tuned for another interview and don’t forget to vote! Previous Entry VP Comm Life nominee: People need to see the inherent motivation in organizing GUIs because they see meaning in doing it, or they see positive change as a result of it.